Aled was born and bred in Rhosllannerchrugog near Wrexham, before he went on to Aberystwyth University to study Law. He returned to the area after graduating, marrying Llinos in 1993 and bringing up their two sons, Osian and Ifan, in his home village. After gaining his professional qualification, Aled worked as a solicitor in the Wrexham, Ruthin and Mold area. He represented Rhos and Ponciau on Wrexham Council from 1991 until 2012. When he was elected the leader of Wrexham County Borough Council in 2005, he resigned from his job as a solicitor. He lead the council until he was elected as an Assembly Member for the North Wales Region in 2011. In the Assembly, Aled was the Liberal Democrats’ spokesperson for Education, Children and Young People and the party’s spokesperson for the Welsh language. 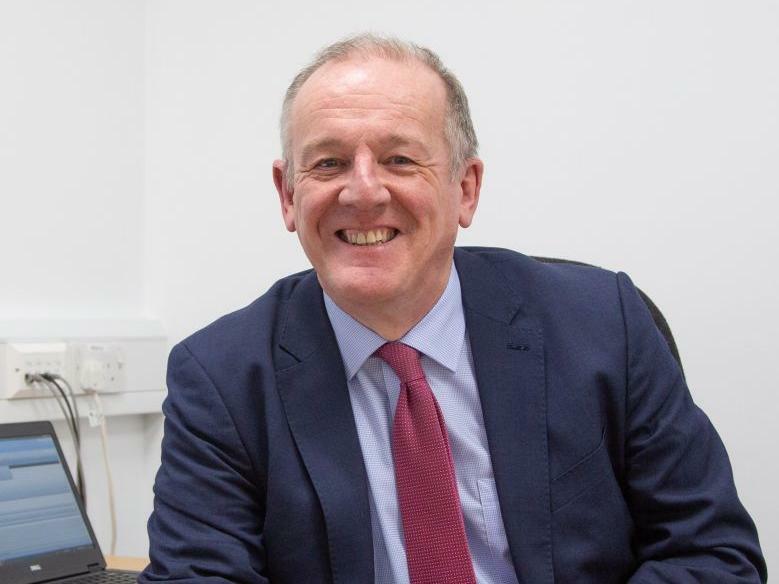 He lost his seat in the 2016 elections, and afterwards conducted an independent review of Local Authorities’ Welsh Education Strategic Plans for the Welsh Government. Until February 2019, he was chairing the Board that was responsible for implementing the recommendations outlined in his review. Aled is also very active within his local community, and has been a member of the Stiwt Arts Community Centre committee since it was established in the 1980s. He is also a member of the Flintshire Disability Forum and offers his help to the Wrexham Warehouse Project for homeless young people. He also sings with two choirs in the area. The principal aim of the Welsh Language Commissioner, an independent body created in accordance with the Welsh Language (Wales) Measure 2011, is to promote and facilitate the use of the Welsh Language. This entails raising awareness of the official status of the Welsh language in Wales and imposing standards on organisations. This, in turn, will lead to the establishment of rights for Welsh speakers. Persons in Wales should be able to live their lives through the medium of Welsh if they choose to do so. The office of Commissioner is a full-time post for a period of seven years. The Commissioner works to increase the use of the Welsh in terms of service provision and opportunities for people to use the Welsh language. Official status was given to the Welsh Language through the Welsh Language (Wales) Measure 2011. Even though English is the language most widely spoken in Wales, only the Welsh language has official status confirmed in legislation. Since the beginning of the 20th century, a constant decline has been seen in the percentage of the population of Wales who speak Welsh. At the turn of the century, 49.9% spoke Welsh, but by 1961 this had halved to 26%. Over the next decades, a further drop in the numbers of Welsh speakers was seen, but in 2001, there was an increase of 2.1% from 18.7% in 1991 to 20.8% in 2001. By 2011, a decline was seen in the percentage who could speak Welsh, from 20.8% in 2001 to 19% in 2011. This was a fall in the number of Welsh speakers from 582,000 in 2001 to 562,000 in 2011. This is against a backdrop of an increase in population of Wales, with a usual domicile population of 3.1 million in 2011 – an increase of 5% since 2001. Despite the reduction in the number in Wales who can speak Welsh of the past decade, there are some trends of growth to be seen as well, with a national increase in the percentage of children 3 to 4 years old and 5 to 9 years old who can speak Welsh. More statistical information on the situation of the Welsh Language is available here. In 2016, the Commissioner published a 5 year report on the situation of the Welsh language, which included an analysis of the Census figures relating to the Welsh language as well as all of the relevant research. Click here to read the Report.